Whilst in Lillehammer Worldmark MD David was filming at the top of the 90m Ski jump, making a film about the importance of the mind in sport. He realised that 40 years earlier his father, Arthur had been doing the same thing at the 1976 Winter Olympics in Innsbruck. Whilst in Lillehammer Worldmark MD David was filming at the top of the 90m Ski jump, making a film about the importance of the mind in sport. He realised that 40 years earlier his father, Arthur had been doing the same thing at the 1976 Winter Olympics in Innsbruck. He was also working for Worldmark making one of their first ever films – the Official Film “White Rock” starring James Coburn. 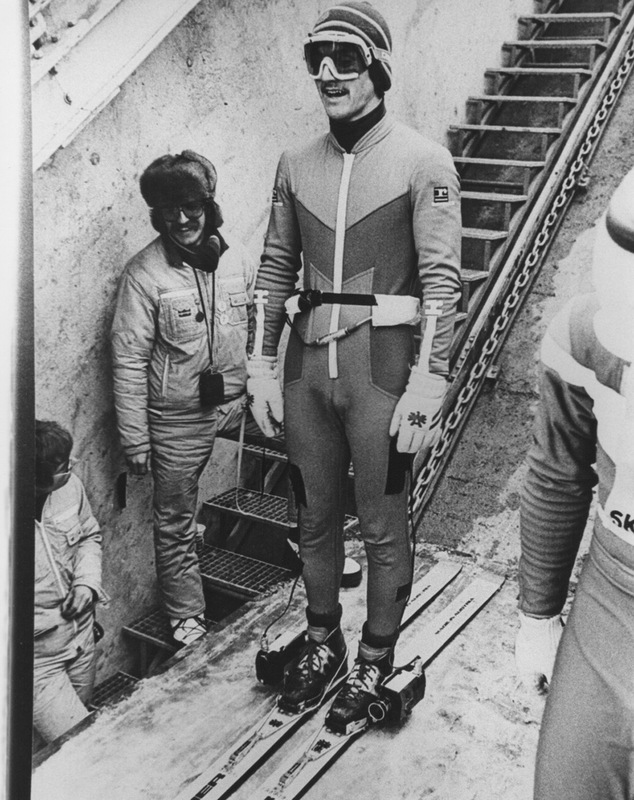 However this time we weren’t strapping 35mm cameras to the boots of a ski jumper made enough to shoot off down the jump. To add to the coincidences David was filming with Tom Challis. His father Drummond is the founder of Worldmark and was producing White Rock. The roles have changed as Tom is now a cameraman and I am the producer but we are keeping the family traditions going!! 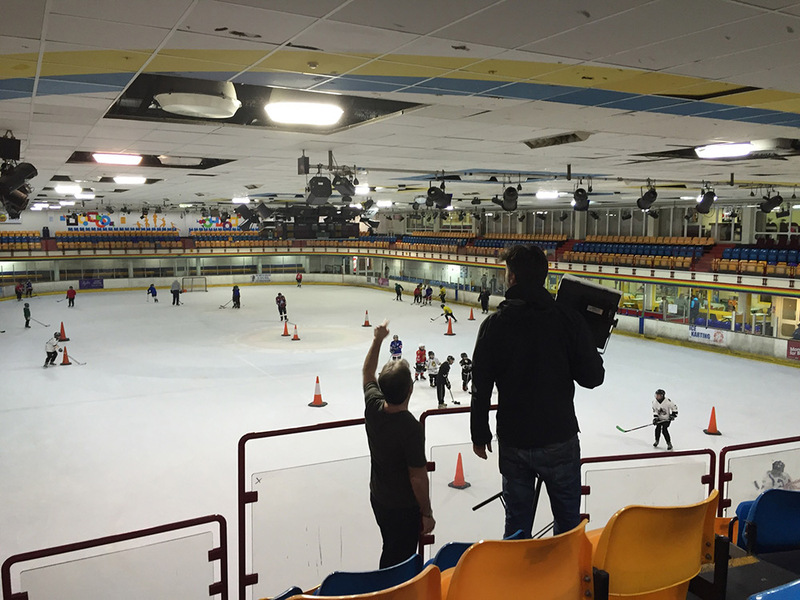 Peter's next assignment was an ice rink in Bracknell. This time filming with a talented young female Ice Hockey player, Verity Lewis.